The body possesses an intricate system of muscles, and muscle pain can occur in any part of the body. It is a very common complaint, usually resulting from overexertion during an activity. Pain typically appears within 12 to 48 hours after the activity. In some cases, muscle pain is a minor annoyance but at times it can take a toll on your health and become hard for you to carry out day-to-day activities. If you battle with muscle pain, the first thing you need to do is keep your body hydrated by drinking enough water. If there is not enough water in the body, your muscles will become tight, tender and easily injured. Also, you can try some natural home remedies that will have a soothing effect on your muscles and reduce your pain in no time. 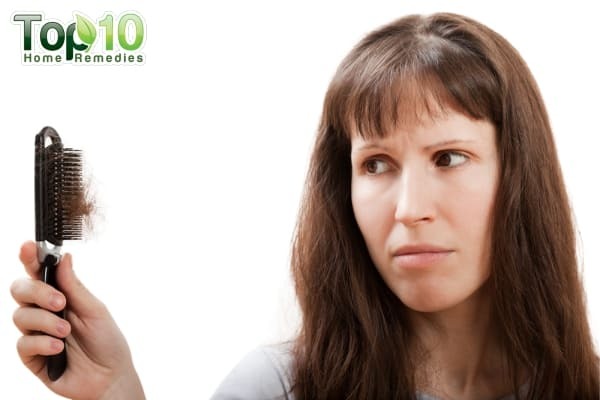 Here are the top 10 home remedies for muscle pain. Applying a cold pack on the affected muscle can help lessen pain and inflammation. The cold will constrict the blood vessels to reduce the flow of blood to the area. Wrap a handful of ice cubes in a thin towel. Place it on the affected area for about 15 minutes. Repeat every hour for the first 24 to 72 hours. A bag of frozen vegetables works well if you don’t have ice cubes. After the first 24 hours of the onset of pain, a hot water soak will provide quick relaxation and mild pain relief. It will promote increased blood flow and speed up the healing process. Do not use this remedy during the first 24 hours. Fill your bath tub with hot water and mix in one cup of Epsom salt. The magnesium in Epsom salt promotes muscle relaxation. Soak the affected body part in this water for at least twenty minutes. Repeat a few times a day for one to two days to help relax stiff, sore muscles. Tart cherries can prevent post-exercise muscle pain. According to a 2010 study published in the Scandinavian Journal of Medicine and Science in Sports, there are many antioxidant and anti-inflammatory compounds in tart cherries that can reduce inflammation as well as muscle pain. Eat one and one-half cup of tart cherries after a workout to prevent muscle pain. 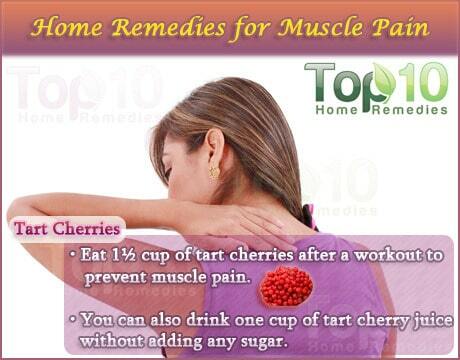 You can also drink one cup of tart cherry juice, without adding any sugar, to reduce muscle inflammation and soreness. The herb turmeric works as a potent painkiller and anti-inflammatory agent. Mix one teaspoon of turmeric powder in one cup of milk. Heat it over a low flame. Drink this twice a day, sipping it slowly, for speedy internal healing. Alternatively, make a poultice by mixing equal amounts of freshly grated turmeric with lemon juice and salt. Apply it to your aching muscles. Leave it on for 30 minutes and then rinse it off with warm water. Do this twice daily until the pain is gone. Ginger work as a natural anti-inflammatory agent and will improve circulation and blood flow, all of which will relieve muscle pain. A 2010 study by the University of Georgia and Georgia College and State University (GCSU) found that daily intake of ginger raw and heat-treated ginger can help lower muscle pain following exercise-induced muscle injury. Wrap four tablespoons of freshly grated ginger in a tightly sealed piece of cotton or a cotton bag. Put it in hot water for less than one minute. Let it cool and then put it on the affected area for 15 minutes. 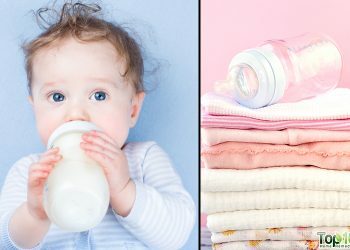 Repeat the process several times a day for two to three days. Apple cider vinegar is another great remedy to soothe away your muscle pain. It has anti-inflammatory as well as alkalizing properties that help reduce pain and inflammation. Add two cups of apple cider vinegar to lukewarm bath water. Soak in this water for 15 to 20 minutes. Do this daily for a few days until you recover completely. Another option is to add one tablespoon of apple cider vinegar and some honey to a glass of warm water. Drink it once daily for a week. 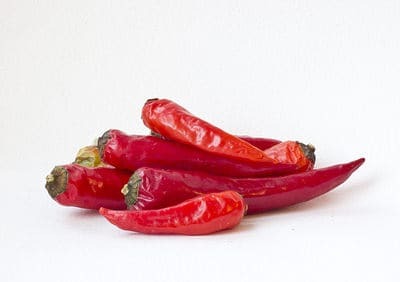 Cayenne pepper has analgesic and anti-inflammatory properties that help reduce muscle pain, stiffness and inflammation. Mix one teaspoon of cayenne pepper powder with two tablespoons of olive oil. Apply this mixture to the affected area. Cover with a bandage and leave it on overnight. Do this for two or three days. Alternatively, add five teaspoons of cayenne pepper to one-half cup of coconut oil. Warm the mixture slightly and allow it to sit for 24 hours. After 24 hours, strain the oil and store it in an airtight jar. Gently massage it into the affected muscle area two or three times a day for a few days until the pain is gone. You can also sprinkle crushed cayenne pepper flakes on your salad, soup or other dishes to speed up recovery. Both fresh and dried rosemary leaves contain anti-inflammatory properties that can soothe inflamed muscle tissue and reduce pain quickly. 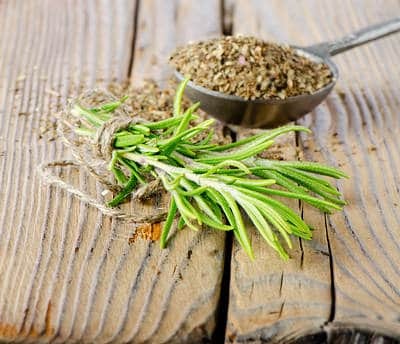 Boil three ounces of dried rosemary leaves in eight cups of water. Remove from heat and let it steep for 20 minutes. 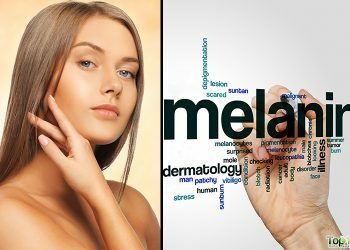 Soak the affected area in this solution for 15 minutes. Do this two or three times a day for two to three days. 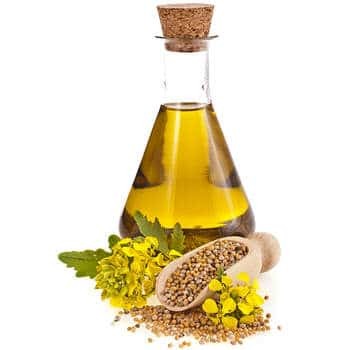 Mustard oil is a natural rubefacient that helps increase the flow of blood to the surface of the skin. This will loosen up the muscles and improve circulation to alleviate pain and aid the healing process. Heat them in four tablespoons of mustard oil until the cloves turn golden brown. Allow the mixture to cool and strain it. Gently massage the oil onto the affected area. Follow this remedy several times a day for a few days. 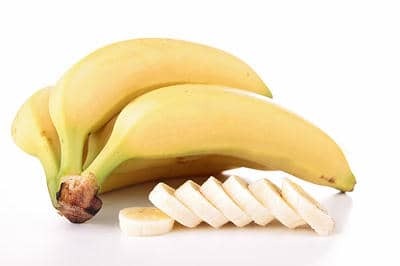 Bananas are a wonderful remedy for muscle pain due to cramping. This healthy fruit is a rich source of potassium. 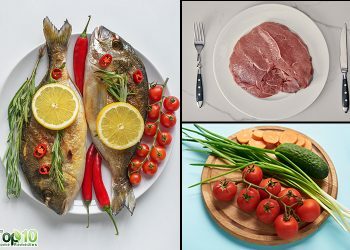 Potassium deficiency can cause muscle weakness, fatigue and cramps on a regular basis. Eat ripe bananas on a daily basis to help treat sore and achy muscles. You can also drink a banana milkshake. 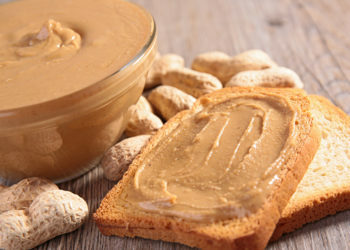 This will provide your body with both potassium and calcium that are essential for healthy muscles. Next time you have muscle pain, try these remedies instead of taking a painkiller. If muscle pain is a recurring problem, consult a doctor. e..keep it up ur good work.